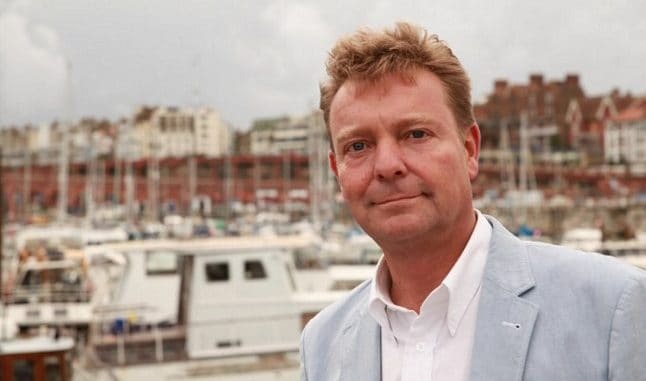 A new trial date is due to be set to hear the case of South Thanet MP Craig Mackinlay and two former aides on charges of knowingly making false declarations in relation to election expenses, or aiding and abetting or encouraging or assisting such offences. Mr Mackinlay, 50, election agent Nathan Gray, 28, and party activist Marion Little, 62, were each charged with offences under the Representation of the People Act 1983 in relation to expense declarations during the 2015 General Election. The trial had been due to begin at Southwark Crown Court on May 14 and was scheduled for six weeks. A pre-trial appeal was heard by Lady Hale (President), Lord Mance, Lord Hughes, Lord Hodge and Lord Lloyd-Jones at the Supreme Court. A judgement on that appeal has today (July 25) been issued. The appeal asked the court to determine a point of law on a preparatory hearing. The question was in relation to the possibility of overlapping national and local expenses during election campaigns and notional expenditure. The court decided the answer was no and has as such allowed the appeal by the Crown Prosecution Service. (iii) they were so made use of “in circumstances such that if any expenses were to be … actually incurred by or on behalf of the candidate in respect of that use, they would be … election expenses incurred by or on behalf of the candidate”. If those three conditions are met, say the Crown, the expenses are to be “treated … as incurred by the candidate” and must be declared as such by his election agent. The defendants contended that such campaigning by the national party cannot amount to election expenses for which the candidate has to account unless he or his agent, or someone authorised by either of them, has authorised the expenditure. Authorisation is, said the defendants, a central feature, throughout the legislation, of responsibility for electioneering expenses. A new trial date is expected shortly. It’s not as if anyone was harmed .. Your disregard for the laws of this land is genuinely shocking. Why do you think we have laws governing fair elections in the first place? It’s the first time I heard of a pre-trial appeal. Normally, you can only appeal if you’ve been convicted. To me it sounds like a slippery tactic to delay the trial. This is really dragging on.There could be yet another General Election before long which would make it appear that the charges are minimal and out-of-date. Is that the reason?